I stopped in the Kyriad Prestige Hotel for three nights – one night before my seven day cruise around the Mediterranean and two nights after. When looking for a hotel in La Seyne Sur Mer the Kyriad immediately stood out – 4 star rating and really cheap prices for a standard room, plus an amazing location next to the harbor meant we chose it straight away without even looking at any other options. I would recommend this hotel in an instance, especially for travelers needing a place to stay before a cruise. 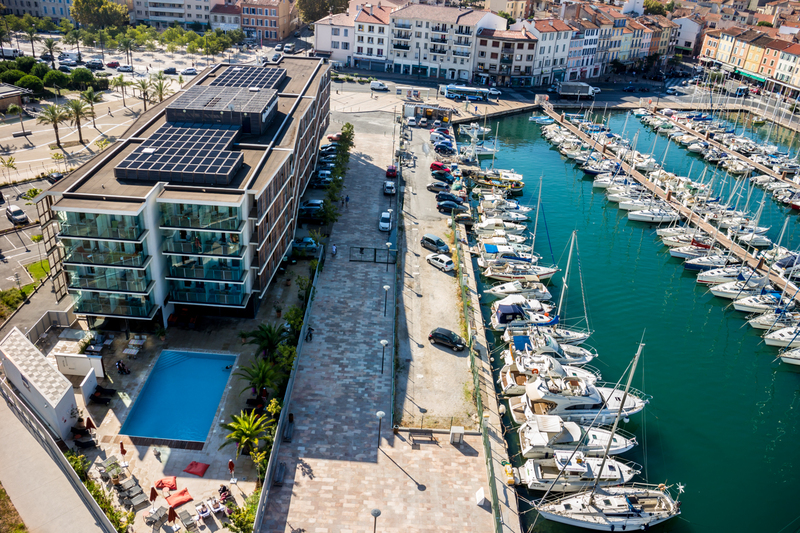 The Kyriad prestige is situated in the small coastal town of La Seyne Sur-mer in Southern France; the closest large town/city is Toulon which is approx 20 minutes by taxi and 10 minutes by train. 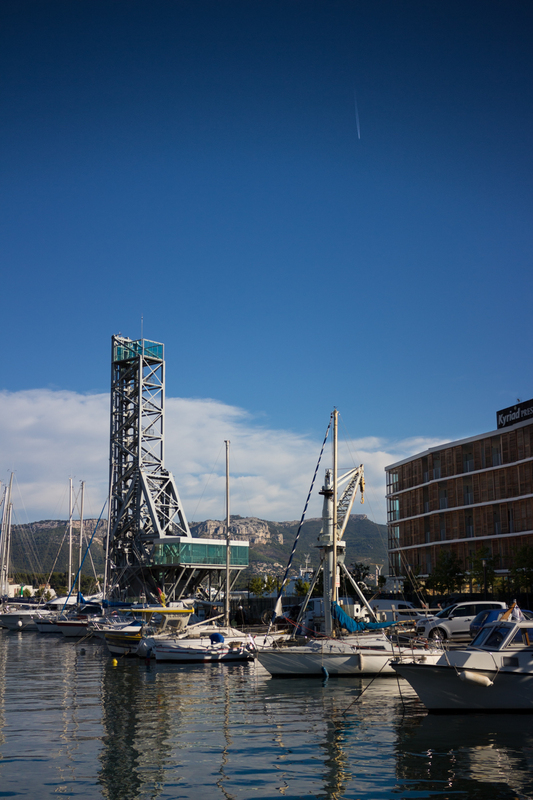 La Seyne has great train connections however we found that the majority of trains ran in the morning and evening – there was very little operating during the afternoon; However we easily got the train to Monte Carlo and also to the airport in Hyeres with no problems. The hotel itself is on the seafront at the corner of the harbor on "Cours Toussaint Merle Maire", from the train station I would advise getting a taxi if you have luggage. 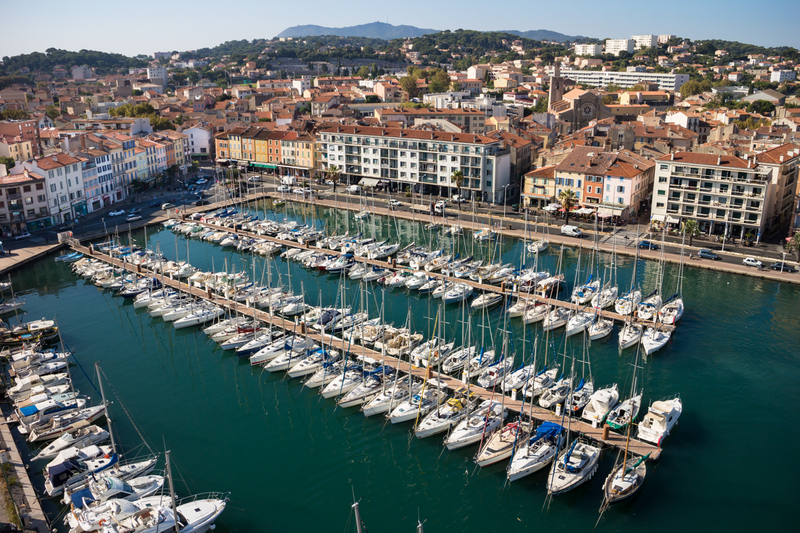 The harbor is literally on your doorstep and there are plenty of shops, restaurants and eateries to choose from, while further back you can walk through the old side streets of La Seyne and marvel at the architecture and local inhabitants. 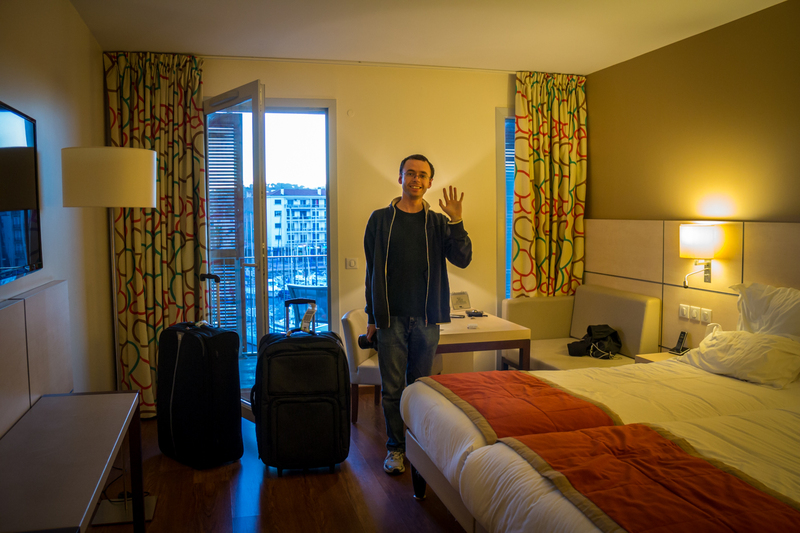 If you are cruising from La Seyne, the cruise port is roughly a 15-20 minute walk along the same street the hotel is on – We got a taxi when we had our bags, however if you're not as lazy as us, you could walk and save the expense! The Room – We had a twin room that was on the top floor facing the harbor – the views from the balcony were brilliant, especially at sunset; I spent a fair amount of time simply people watching and taking photos in the September sun. The room was spacious, light and airy with two comfortable beds, a large flat screen TV, two desks, a large wardrobe, coffee/tea making facilities and also a small fridge. The finishing's were all high quality and there really wasn't anything negative to comment on at all. Housekeeping changed our bed sheets daily and brought fresh tea/coffee and biscuits which went down a treat! The Bathroom – The washing & toilet facilities were spot on – there was a separate toilet which proved invaluable when I need to drop anchor after a couple of beers! While the bathroom had a separate shower cubicle and large sink with mirror on and plenty of rails to hang towels etc on. The Pool – There was a lovely outdoor pool facing the harbor which we spent some time at before our flight home. The water wasn't exactly warm but it was pleasant enough to swim in or relax. Surrounding the pool were sun-loungers with parasols and also some cool bean-bags which I lounged on listening to music. There was also an outside shower and some chairs & tables to eat at. The reception staff at the Kyriad were brilliant; We both knew a little French so we made an attempt, however we must have been terrible as the woman serving us took pity and spoke in fluent English haha! The check-in process was smooth and during our last day they allowed us to store our bags in a secure holding area until it was time to leave. The receptionists also sorted a couple of taxis for us – I would however recommend researching some local taxi companies beforehand as the taxi the Kyriad used was a luxury company so the price was much higher than your standard taxi. 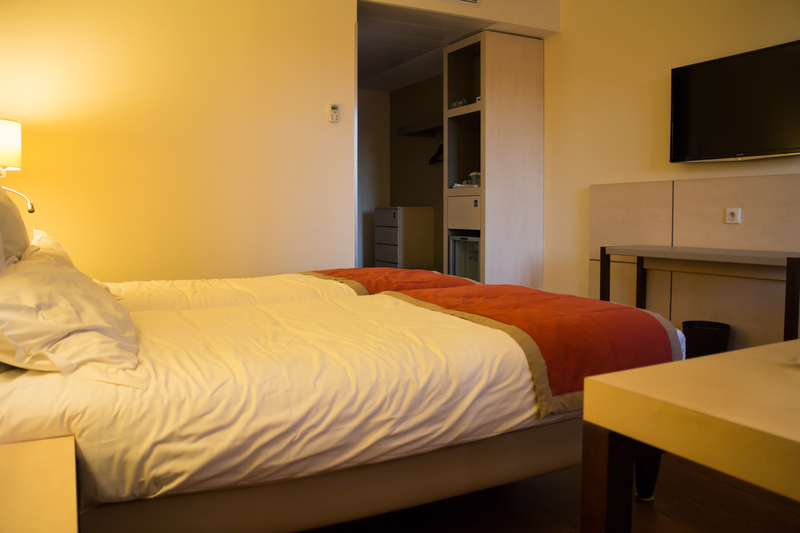 The Kyriad provided everything we needed for our short stay in La Seyne Sur-mer, and we were more than impressed with the quality, service and location. The price was also fantastic; when I originally enquired through Hotels.com I had to double check the prices to make sure! The only downside was the dining – If you are looking for cheap food then you would not want to eat at the Kyriad hotel – the food looked really good quality however we simply found some local restaurants/take-aways in town.